Vidullanka PLC announced the appointment of Ms. Deepthie Wickramasuriya to the Board of Vidullanka PLC as a Non-Executive Independent Director with effect from 01st January 2019. This announcement follows the resignation of Mr. Zulficar Ghouse from the board a day before. In addition to joining the Board of Vidullanka PLC, Ms. Deepthie serves the Board of Expolanka Freight (Pvt) Ltd; (efl) as the Director – Business Process Management. Prior to joining efl, she was the Head of Business Systems and Services of AHL Business Solutions (Pvt) Ltd, a subsidiary of Carson Cumberbatch PLC. She has also held senior management positions in many established organisations including AMW, Lanka Equities, Galle Face Hotel, Aviva Global Services etc. She counts over 35 years of experience in the fields of finance and treasury management in many industries both locally and overseas including United Kingdom, Singapore, India, Indonesia and Fiji Islands. 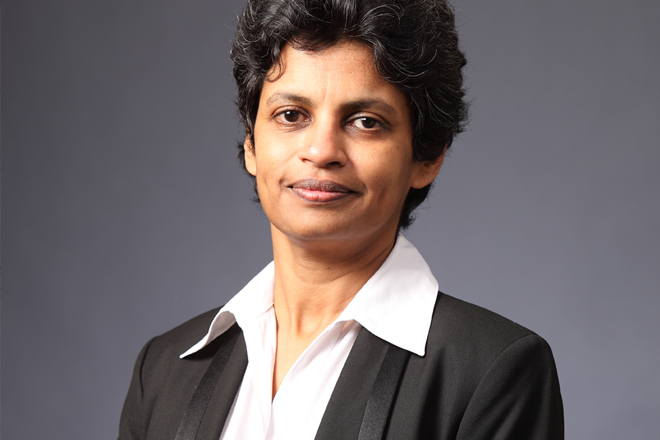 With her extensive experience in diverse industries and countries, she has led many special projects relating to organisational strategy, operations, risks and governance including the migration of over 15,000 jobs in both accounting and non-accounting fields from United Kingdom to Sri Lanka and India during 2005-10. She holds a MBA from the Post-Graduate Institute of Management (PIM), University of Sri Jayewardenepura, Sri Lanka. She is also a Fellow Member of the Chartered Institute of Management Accountants (CIMA), UK. Her passion is to help the less-fortunate and she has a strong interest in arts. She served the Sri Lanka Army Medical Corps Seva Vanitha Unit, as the Vice President from 2012-15. Presently, she is a board member of the Chitrasena Dance Foundation, the oldest and most prestigious school of traditional dance in Sri Lanka. Vidullanka PLC with the fast growing renewable energy portfolio spread across regions covering multiple sources of renewable energy, remain to benefit immensely from the wealth of knowledge and expertise of the incoming Director.